Loved it. Hollywood secrets and glamour. Will make every woman realize how much has changed -- thanks to those who came before us. I found the story thin, the characters thin and the narration like they were reading from a page with every syllable pronounced separately. I shut off a few times, which is rare for me...surprised this book gets such a high rating. Perhaps it's just not my preferred style. I listened to Daisy Jones and thoroughly enjoyed it so I tried Evelyn Hugo. What an interesting read/listen. Such a talented writer. The whole time the tale is going on, I kept thinking of all the "stars" who deem themselves political savants and knowing all their political posturing is to promote themselves. It made it all the more laughable to think of the people who regard them as such! Evelyn was a force to be reckoned with but integrity is not in her wheelhouse! 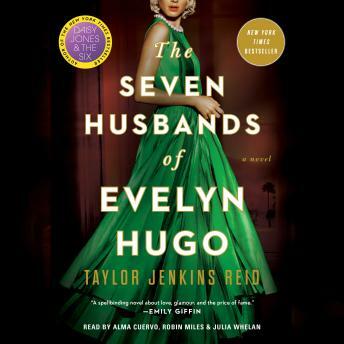 This started out slow and I wasn't sure I wanted to know all about Ms. Hugo's seven husbands but as she began to speak, I was intrigued. It was a Great story; she definitely had guts and knew what she wanted. I enjoyed it very much. An amazingly heartbreaking novel that delves into so many controversial topics. You'll hate Evelyn Hugo but you'll also admire her. I liked this one a lot more than I thought I would.